Which character do you identify with the most and why? Maud and Everett both had “insufficient childhoods”. How do their backgrounds aid or hinder their spiritual growth? Maud: “It’s always different. The whole of life. The whole of life already framed. Right there.” What form of meditation is evoked here? What can we draw from it for ourselves? What do you find notable about Maud’s art? What do you think her paintings say about her inner life and world view? Does the lack of shadow in Maud’s paintings render them less artistic? Who or why not? How would you describe the arc of Everett’s character? The relationship between Everett and Maud is bleak at times yet the movie suggests they found love. Is this believable? What do you think this movie has to say about “cure” versus “healing”? 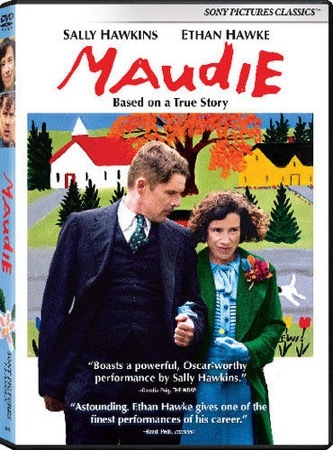 Which Scripture text or wisdom story does Maudie remind you of?